Only yesterday we reported about the Call of Duty: Ghosts DLC, and today we have got the new detailed information from the developers. The Upcoming Onslaught DLC has received a big video, from which you can find out everything about its content - maps, weapons and the first episode for the Extinction mode. All four maps in new DLC will be small or medium-sized. Each will bring you to the unique location with its own rules, opportunities and features. And on every map there will be something exciting and exclusive. Fog is a dark and gloomy location that looks like the scenery in the horror movie. There is a small house at the center of the forest here, and hiding in it, you will be able to shoot all enemies from the sniper rifle. Also you can choose the other side and turn into Michael Myers - one of the popular characters from the Halloween movie series. Bayview is a peaceful town and a middle-sized map. Although this location looks like a nice settlement, your presence will transform it into the battlefield. Containment map brings us to Mexico. Here you will be able to see the river bed with the bridge. This point on the map is very important both for your and opposite teams. Moreover, this location is the best for gamers, who like playing with explosives. Ignition map, as it was rumored previously, is a parody on the location from Modern Warfare 2. The last one is among the most popular maps in Call of Duty game series, so the developers are sure that you are going to like Ignition. 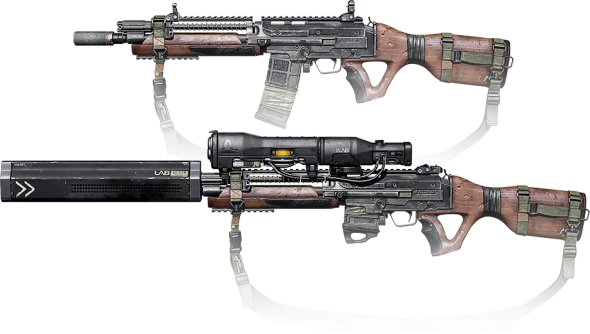 Together with the maps Call of Duty: Ghosts DLC adds a new weapon, or to be more exact, even two weapons - an assault gun and a sniper rifle. You will be able to check these guns on all maps from the upcoming DLC. And the last important content from Onslaught DLC is the first episode of the addition to the Extinction mode. Let us remind you that this mode allows you to fight against terrifying aliens. In the first episode you will be able to find out what was at the beginning of the extraterrestrial invasion, to use special weapons and to meet new types of aliens, one of which is able to become invisible. To find out more about the new Call of Duty: Ghosts DLC, watch the latest video from the developers. And to download the add-on, wait for the 28th of January.